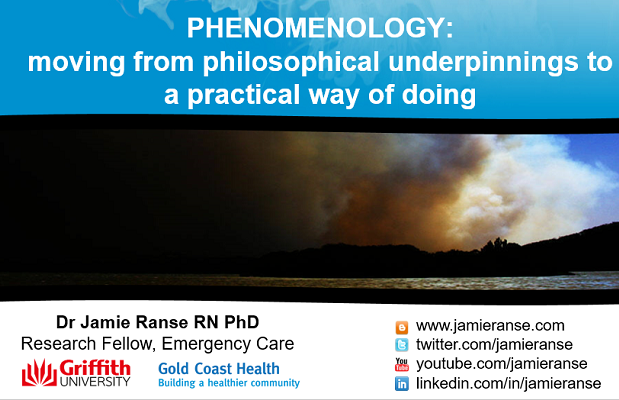 Dr Jamie Ranse is an Early Career Researcher currently working as a Research Fellow in Emergency Care. This is a joint appointment between Griffith University and the Gold Coast Health Service. His work focuses on emergency health care, primarily in the areas of high visibility, high consequence events that are either planned (such as mass gatherings / major events) or unplanned (such as disasters). His work has been supported by competitive research grants, published in peer-reviewed journals and presented at national and international conferences. Jamie completed his Doctor of Philosophy in 2017 at Flinders University, where he researched the experience of Australian nurses who assist in the out-of-hospital disaster environment. He received the Flinders University Vice-Chancellor's Prize for Doctoral Thesis Excellence. Jamie is an active member of a number of national and international nursing associations. He is a Fellow of the Australian College of Nursing and College of Emergency Nursing Australasia. He is an Associate Editor for the Australasian Emergency Care Journal, holding the disaster portfolio. Additionally, he Chairs the World Association for Disaster and Emergency Medicine, International Mass Gathering Special Interest Group and Chairs the Australian College of Nursing Disaster Health Community of Interest. Jamie volunteered with St John Ambulance Australia for over 20 years; previously holding the role of Chief Nurse. In this role, he engaged in high-level strategic decisions regarding mass gathering and emergency health care. He has been involved in a number of research projects using phenomenology as a research methodology. His interest in phenomenology lies in how the underlying philosophical assumptions of phenomenology are applied to the practical way of doing phenomenological research in the health care context.